Mangaluru, Dec 11, 2015: A person who was accused in the murder of an auto driver was brutally attacked with lethal weapons in broad daylight at Maripalla junction in Bantwal taluk. The victim identified as Haneef alias Mada Haneef, aged about 38, was attacked by a gang of miscreants who came in a car while on his way to his shop from his house. The critically injured Haneef has been hospitalised. Haneef was wanted in the murder of Rifayee, an auto rickshaw driver from Maripalla. Mohammed Rifayee’s body was found on August 10 last year at Nethrakere near Bantwal taluk. Though several persons were arrested in this case immediately, the main accused, who financed the murder was said to be Haneef. He was arrested a few months after the murder. Bantwal town police said five persons had come in a car and attacked Haneef. The car was found abandoned near BC Road. Police said they have got a few suspects identified. Haneef who was in prison for 15 months was out of jail just 20 days back. Rifayee case: The victim, Rifayee, 25, a resident of Maripalla was the brother of Touseef, 22. The latter was arrested in connection with the murder case of rowdy-sheeter Naushad. Police said that Rifayee’s murder this was revenge killing since they could not get Touseef, they killed his brother who did not have any criminal records. Rifayee, an auto driver, went missing on August 9 last year and his body was found next day. 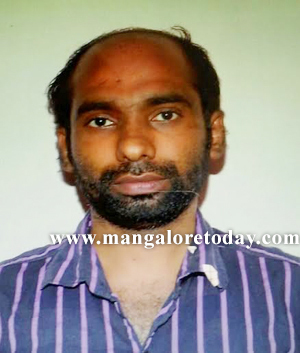 Touseef was allegedly involved in the murder of Naushad, who was also a resident of Maripalla in Bantwal taluk. Naushad’s terror act earned him many enemies locally and it is a group of such terrorised people who plotted and enacted his gruesome end.